Not only you, everyone today wants to make money without doing anything. Every one of us is looking for the shortcut of making money. How good it is if money is growing on a tree? You need not to do little work to get money. Well, a dream of growing money on the tree cannot be fulfilled, however, today I will discuss money making ideas or passive income generation ideas. These ideas are so powerful that you will be making money while you are sleeping, taking rest or not working. You must be excited to explore more in detail so let’s check 10 Ideas to make money while you are taking rest. I have made following assumptions while writing about these ideas. You will be doing work for the initial period so that you can make money at a later stage while you are taking rest. You have a money or initial capital for these ideas. You have minimum experience and basic knowledge to work on these ideas. You cannot generate money day one by using these ideas. It may take some time like one week, one month or several years for making money by these ideas. All ideas mention below are absolutely legal and does not represent an illegal way of earning money. You can divide these ideas in two broad category offline and online. Building system or starting a business is the first idea of making money. 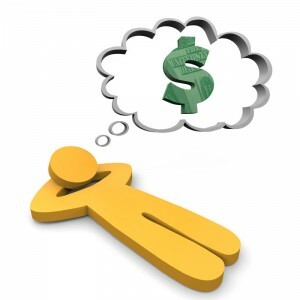 You must be thinking how business can help you to make money while you are taking rest. Well, it is if your business is working 24×7 and you have an employee to work for you. Let’s take an example of Mukesh Ambani richest businessman of India. He is earning 11000 Cr per day. Meaning his hourly income is 458 Cr. So, if he sleeps eight hours daily he will be making 3666 Cr money while taking rest. I am not telling that you will become Ambani by starting a business. However, if you build strong system rather than a hauling bucket, you will surely able to generate money while taking rest after few years. Stock Market Investment is the second idea of making money while taking rest. It is one of the simplest ways to generate wealth. In order to make this idea work you need to select right stock and stay invested in this stock for long term. The stock price of this stock will increase day by day and you will be able to earn money. You must be aware of stock gurus Rakesh Jhunjhunwala and Warren Buffet. They have generated a lot of wealth by making a stock market investment. The third idea of making money while you are taking rest is giving the loan to someone and charging interest on capital. It is one of the easiest way to earning money without doing anything. However, you require money to give a loan, not only that it is a risky idea if the borrower defaults your money will be at stake. If you have additional property or home you can give it on rent and make money. It is one of the simplest ideas of making money. However, make sure that you are preparing lease agreement while giving property on rent. Some business or professions allow you to earn passive income this income is called as royalty or commission income. Examples of such professions are life insurance agent, Network marketing business etc. This profession allows you make money while you are taking rest. If you are not comfortable with these offline ideas you can opt for following online income generation ideas. Blogging is one of the most favorite and very good ways of generating income. You can make a blog in your own niche and generate a lot of revenues. Revenue generation by blogging happens through multiple ways one of such way is through advertisements. The biggest problem in small business today is they do business only in daylight. If you take an example of small mobile seller his shop will be opened for daytime. He will not able to sell any mobile in night time and today majority of people find time after office hours, they prefer online mode. So, it is good to start selling your product online after normal working hours also. Bizzndeal is one of the fastest growing websites that will help you in selling your product online. Selling product online is another method to earn money while you are at rest. Affiliate marketing is next in my list. You can earn a lot of money by doing affiliate marketing. Affiliate marketing is earning money by referring someone to purchase the product. Flipkart, Amazone, Shareasale are websites that offer affiliate partnership program. By doing affiliate marketing, you can make money while you are on rest. However, you need knowledge and skill set to become a successful affiliate marketer. If you are IT person or having the capability to develop game or app you have an opportunity to make money online. Once your app or game is ready you can host it online and earn money be selling it. It is another way to earn money while you are on rest. Starting online startup is another idea to make money while you are on rest. Your idea of a startup should be unique. The example of such startup ideas are grofers and foodpanda. Hope these wonderful ideas of making money had generated a spark in you and you must be trying some ideas for making money.